EU High Representative for Foreign Affairs and Security Policy and Vice-President of the European Commission Catherine Ashton has said she is deeply concerned about the events in Ukraine and has urged Ukrainian President Viktor Yanukovych to bring the adopted legislative amendments in line with the country's international commitments. "I'm deeply concerned by the events in Kyiv. 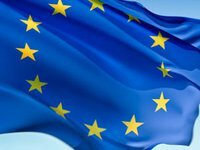 Several pieces of legislation restricting the Ukrainian citizens' fundamental rights have been hurriedly passed in an apparent disrespect of parliamentary procedures and democratic principles," the EU high representative said in a statement published on Friday. Ashton said she was particularly concerned by the changes to the Criminal Code "which impose worrying restrictions on the rights of assembly and on the freedom of speech and media, and are contrary to Ukraine's international obligations." "The changes that seem to seriously curtail the activities of civil society organizations in Ukraine and simplify procedures for revocation of mandates of members of parliament are equally worrying," she added. The EU high representative said that these developments came at a time of political crisis and did not contribute to building confidence and finding a political solution, which she said could only happen through an inclusive dialogue with all stakeholders. "I call on the President of Ukraine to ensure that these decisions are revised and brought in line with Ukraine's international commitments," Ashton said.